2018 Vivid Light - more than 60 interactive light installations from 6.00pm to 11.00pm daily. The Vivid festival includes the NSW June long weekend. Dress: We recommend Smart Casual. Excellent service, excellent food and wine, couldn't recommend it highly enough. Service: On the day service was great but trying to change a menu item due to alergy was a nightmare - and the whole booking depended upon it. In addition not sure what if any other drinks we could have had as part of the package. As a person with seafood alergies the nibbles as part of the package was limited. I am not sure this package represented as good a value as other food and matched wine meals we have had. Also matched wine for substituted course was not changed despite a virtually repeated course being provided for the food thus a wasted glass of wine. Product: Not as good as other food and matched wine I have purchased. Nibbles at the start was limited as I dont eat seafood and salmon looms large on all menus. Thank you for the review of your experience of your Cruise. Our menu and inclusions for your cruise are listed on our website and we always encourage customers to view this to understand the inclusions on their selected cruise. Our aim is always to provide an extensive variety of options maintaining the highest standards of quality, whilst catering to customer our needs. We always encourage guests to talk to the Cruise Director on board if they have any concerns, especially regarding food, drinks and service as they will be able to solve the problem immediately. Please be assured your concerns have been forwarded to our catering and hospitality manager. Thank you once again for your feedback. Product: Expensive but special. thanks to all staff. Service: Great hospitality and food! Would have liked a little more time on the upper deck. One of the group tables was very loud. Product: Food and wine pairings were very good. Service: The food, beverage, service and the cruise was excellent. We highly recommend this activity. Product: It was recommend by the concierge and I am delighted he did. Product: Overpriced and it was unecessary to pay for the extra window charge - I'd expect you'd be able to predict based on yr bookings if this is required. Recommend changing this to a first in best dressed system so customers don't feel ripped off paying for something that they don't need. Thank you for the review of your experience of your Cruise. Our window seating is an optional extra which our gives our customers an opportunity to have unobstructed views out of our vessel. This is not compulsory to purchase in any way. Our vessels are always reviewed to maintain a clean, modern image, including a recent renovation of the Sydney 2000; the vessel our lunch cruises operate on. We believe our pricing to be equal to any contemporary dining establishment in Sydney. We continually monitor all aspects of the production chain including receipt, storage, distribution, cooking and presentation to ensure a top quality and consistent product is presented to our guests, so we are glad that you enjoyed this aspect of your cruise. Nous avons choisi le Penfold gold Dinner.Le repas était de qualité moyenne (probablement correct dans un contexte anglo-saxon, mais pas au niveau du prix pour les habitudes d'un français...). Intéressant si on veut goûter les vins, sinon, trop cher pour ce que c'est, et donc une balade en bateau pour la ville depuis la baie est suffisante. Service: The staff were exceptional and five stars to t h e chef! Product: Excellent. This was a gift which I will remember . Product: Good food. Plenty of drinks. Service: 한국 직원의 서비스가 매우 만족스럽습니다. 너무 즐거운 크루즈여행이었고 잊지 못 할 여행이 되었습니다. Product: 고민하지 않고 다음 번 여행때도 이용 할 거에요. Service: Loved everything from the service, food, wine and entertainment. Would highly recommend. Product: Exceptional evening. Highly recommend. Service: Welcoming, friendly and accommodating. Product: Reasonable food & average wine. Thank you for the review of your experience of your Cruise. We continually monitor all aspects of the production chain including receipt, storage, distribution, cooking and presentation to ensure a top quality and consistent product is presented to our guests. As you know we do strive to deliver world best practice customer service from booking all the way through to the end product – so your review for this is very satisfying to receive. Your comments are very much appreciated by all our hospitality and catering staff and a copy of your email has been forwarded onto their department managers. We are sure they will value the positive feedback too. Service: The service was fabulous I would like to make a special comment in regard to our waiter Joey who provided us with exceptional service in every way. Truly a wonderful experience. Product: Exceptional way to celebrate our wedding anniversary. Spectacular evening. Service: The cruise was fantastic as was the service and the food, An wonderful night. Congratulations. Product: Everything was perfect. Friendly and knowledgeable staff. Excellent. Service: Service was excellent. My only complaint was just had our coffee and we were back. Could have been 10 minutes longer. Product: Purchased on the internet and Jamie did it all for me as we were meeting up with friends from England who had already booked. Service: The service was good. However, the band on the upper deck was really second rate to the point of almost painful, and we would rate the food as 3/5. Thank you for the review of your experience of your Cruise. As you’re aware, finding the right balance for entertainment can be difficult as each customer has tastes and preferences. However, please be assured your thoughts will be forwarded to our hospitality manager for review. It was an amazing experience, we have been in different dinner cruises but this one was the best of all. Service: Everything was amazing! I’ll definitely do it again! And I’ll also recommend it to everyone! Product: Because it was just perfect! Service: Excellent service and made my wife feel very special on her 60th birthday celebration. A fantastic evening which will be long remembered. Product: Very good value with an excellent meal, good wines, catered for non drinkers with a selection of non alcoholic cocktail style drinks. All of this with the magnificent Sydney Harbour as a backdrop. Product: Service. Scheduling. Food. Music. Wine. Service: The service was amazing. It felt like we had our own personal server. The food and Penfold wine pairing was exquisite. Delightful experience with great Harbor views. Also food lacked heat and main course could have done with some vegetables. First class service, cuisine and wine. We were made to feel very special. Service: We had a good experience. The staff was very good. The food was average. Product: Steak was overcooked. Not a big fan of duck. Thank you for the review of your experience of your Cruise. We continually monitor all aspects of the production chain including receipt, storage, distribution, cooking and presentation to ensure a top quality and consistent product is presented to our guests, so we are disappointed that you felt this aspect of your cruise wasn’t to your standards. Please be assured your comments have been forwarded to our catering manager for review. Service: We chose the Gold Dinner with matching wines and the vibes were perfect for an intimate family dinner celebrating my dad’s birthday and business anniversary. Upon arrival, we were taken up to the top deck where we received champagne and canapés while having the opportunity to take pictures of the harbour bridge and opera house. Once we were seated, the atmosphere was calm, not too loud, with live music and impeccable service. The food was okay but the real selling point of this place was the atmosphere and service, the waitresses and waiters were very professional, explaining each dish and wine, whilst also being helpful and kind. Moreover, many high end restaurants these days are crowded and overly loud but this cruise provided such a pleasant, refined evening for us. We will definitely be doing more of these cruise dinners like these when we have guests over in Sydney as it was such a pleasant evening on the harbour, eating and drinking and listening to the live pianist with more intimacy and privacy than a regular restaurant. Product: The service from the staff were incredible and the atmosphere was just perfect but some of the dishes (main course meat dish) did not wow us. Nevertheless, it was a really great experience and we were overall incredibly happy with this dining experience. This was a fantastic cruise, even although the weather was not so good on the day the food was so incredible that no one noticed what it was like outside. Having the private room for our team was well worth the small additional charge. Would highly recommend the Penfolds dinner. Service: Food exceeded our expectations and service was excellent. Product: Food exceeded our expectations and service was excellent. Fun experience. But there was no organiser for queue, we bought the Gold Pass but were queuing just like normal, and it was busy btw. On board services was excellence. Thank you for the review of your experience of your Cruise. We always try to streamline and optimise our service procedures, including boarding. We apologise if you felt the boarding service wasn’t to your standards on this occasion. Please be assured your feedback has been forwarded to our hospitality manager for review. Product: Great value! Really enjoyed the night. The live band was a bit bland. Great service with quality food and wine. Service: Excellent food & wines. Professional, courteous service by all staff & especially Bella our waitress for the evening. Only disappointment was that the windows were dirty & not clear to see through. Service: My wife and I had an amazing experience. The service was outstanding and the food superb. Great job. Service: Yes . We would recommend Cpt.Cook universally. Service: The staff were fantastic, the food and wine exceptional and the views breathtaking. The live music, in the background, perfecty set th emood and the scene for a memorable evening. Product: The food and wine were exceptional! Service: Great food and wine! Service: Nous avons passés une agréable soirée. A faire. Product: Très agréable soirée en amoureux. Service: The entire crew was very attentive. The wait staff took excellent care of us. A real value for the money. Product: Very well done! Wine pairings were very good. Good food and wine, excellent service, great entertainment and wonderful staff. A fantastic experience. Service: The service was excellent. Very warm and friendly staff that went out of their way to please. Product: The night was really worth it. We did the Gold Penfolds Dinner and the wines were really good and the food was delicious. We were in a dreamland with the live singer - she was wonderful. The whole experience was gorgeous and I would highly recommend it, particularly for a romantic night out. Service: Overall experience was great, Only improvement would be the selection of spirits available as the whiskey was average. Service: The service was fantastic and the food and wines (Penfolds) excellent. Special consideration to mobility issues also much appreciated. What a great evening. Couldn't have been any better. The food, service, drinks, and entertainment were outstanding. Thank you for your review of your Gold Penfolds Dinner Cruise. Our aim is always to provide an extensive variety of options maintaining the highest standards of quality, regardless of nationality. Service: Our waitress, Laksmi, was very professional and so approachable. Her manners were impeccable. She made us feel at home and very special. Product: The food presentation was great and the wine selection a perfect accompaniment. Service: Excellent night! Food was great and Edward was our amazing attendant, can't speak highly enough of him. Thanks! Product: Excellent food, great wine, lovely atmosphere. We were most impressed by this Cruise. Very tasty, well prepared and served food with finesse and style. Waitress was very friendly, attentive and gave excellent service. Accompanying Penfold wines were well matched with each food course. Lovely window seating. Only reservation was we felt that the evening meal with drinks was a little rushed. 2.5hrs was not enough time. Cruise should have been atleast another 1hour duration. Music whilst dining with volcalist added to the evening cruise. A really memorable and great experience. The cruise was lovely... great food, great service, great atmosphere and great wine. Only think I could complain about is the weather outside... but that is certainly not something that could be controlled! Product: Good combination of good food and good wine. Service: The Welcome and service was great, however we were taken to the top of the ship with a welcome drink and left there by ourselves, (it was extremely cold) when the waitress bought canapes to us we asked to go down stairs. Food was beautiful and the waitress was very friendly and lovely. Dinner / night cruise was not what we expected, we couldn't see a lot as it was dark and the windows reflected the inside of the ship. We would cruise again, but perhaps sunset. Product: Very Nice, smaller meals sizes. well thought out pairing with the wine. food cost at roughly $200.00 more for the cruise is a bit steep. Service: Our waiteress was lovely. Couldn’t have been more friendly and accomodating. Thank you for your recent review of our Gold Dinner Cruise. We continually monitor all aspects of the production chain including receipt, storage, distribution, cooking and presentation to ensure a top quality and consistent product is presented to our guests. We apologise that this wasn’t the case on this occasion and please be assured your comments have been forwarded to our catering manager for review. As you know we do strive to deliver world best practice customer service from booking all the way through to the end product – so your review for this is very satisfying to receive. Your comments are very much appreciated by all our hospitality and catering staff and a copy of your email has been forwarded onto their department managers. We are sure they will value the positive feedback too. Service is excellent. 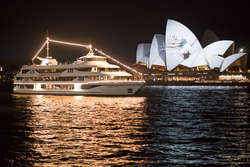 I do the Gold dinner cruise every time i am in Sydney and cannot recommend it highly enough. Service: Excellent 5 star experience, staff were great food was great would highly recommend. Product: Excellent experience, great staff great food perfect location of beautiful views of Sydney. The drinks were great. Crew helped made a excellent experience, loved the whole trip and food just awesome! Service: The crew made us feel welcome and special guests. Service: Absolutely fantastic food, wine, service and environment, from the music to the port it was a fabulous experience. Obviously the vivid experience was AMAZING!! Cant think of a better way to experience the show! Thanks you for a great evening! Product: Fantastic. see previous comment. Service: The total experience was excellent. We would do this again. Food, wine and service were all excellent. Our server (Edwin) I think was his name was absolutely wonderful and all praise goes to him. We had South Australuan visitors and they were totally impressed by the entire experience. Well done to all the crew and team. Product: Refer to above comment. Ian not best photographer but my husband and son' girlfriend have some brilliant photos. Sorry. Thank you for your review of your Captain Cook Cruise experience. We offer a range of bar packages, with a variation of prices resulting in a greater selection of beverage options available. All wines are also available for purchase if customers desire something other than the included products for their package. We always encourage guests to talk to the Cruise Director on board if they have any concerns, especially regarding food, drinks and service as they will be able to solve the problem immediately. Please be assured your concerns have been forwarded to our catering and hospitality manager. We thoroughly enjoyed our evening, the staff were warm, friendly and efficient. The meal first class and the accompanying wines were suitably matched to all of the courses. We appreciated the music and it added to the whole experience. We look forward to our next cruise with your company. Service: Vert friendly & efficient staff, first class service, great food & wine. Product: See information described on previous comments. Service: From the very start to the completion of the cruise, the enthusiastic service, entertainment and attention to detail was absolutely first class. Product: A culinary delight that was perfectly matched with some superb Penfolds wine. Service: The food was brilliant & the service faultless. We had a really wonderful evening & would recommend it to anyone. Product: We all thought the food was very good & the service excellent. It certainly wasn’t cheap, but it surpassed our expectations. Service: I would most certainly would recommend this cruise to friends and family. The service we received was excellent! Product: This was wonderful! Excellent service the best views! Service: Fabulous experience, felt special from the moment we boarded. Food was restaurant quality and service impeccable. Service: We were on the Penfolds cruise in 2017 and found the atmosphere was so much better. We also had a band which was great because we could get up to dance. This year we only had 20 people in total and a piano was all the entertainment we had. I would have preferred to pay less and be down stairs. The staff, however and the meals were amazing. Product: Food and wines were awesome. Thank you for your recent review of our Gold Dinner Cruise. We were disappointed to read that you felt the atmosphere wasn’t to your standards. Our cruise times are listed on our website for complete transparency for our customers and we follow this as closely as possible. We apologise if you felt this was not the case on this occasion. Service: We absolutely loved the Dinner and Cruise. The service was excellent! All staff were very friendly. We celebrated our 5 year anniversary and it was lovely. The food was amazing and the pianist played a very nice selection of music. Thank you! Product: It was amazing! It went beyond our expectations! Excellent service et repas tout à fait délicieux. Je recommande cette belle expérience sur le Captain Cook Cruises. Very good services from pier to pier. Captain Cook Cruises's fully delivered on our promised experience. Only nuisance was the fact that the e-ticket, for our online and very early booking for the dinner cruise, advised contradictory boarding locations. We had to telephone your office for clarification. Excellent experience and service and staff exceptional. Kelly was a wonderful help and quick to anticipate what we wanted and the whole experience was lovey. Product: Unbeleivable, everything was perfect. Service: Everyone I spoke with by phone and in person at two different counters were extremely polite, kind and courteous. On board we were greeted warmly and handed a glass of champagne. Our waitperson, a darling woman named Bella, was unusually attentive and friendly. We toured Sydney Harbor at night during Vivid and it was breathtaking! Oh, and the food and wine selections were perfect! We had live music and we were celebrating our 40th wedding anniversary and we were announced and given a special dessert. So very nice! Product: Fabulous experience! A great way to see the Vivid light shows. Service: Very courteous and helpful service from the time before we even boarded the cruise . The seating , meals , service and entertainment ( 2 man band ) alone was fabulous enough , let alone cruising while VIVID was on . Fantastic and memorable night. Service: Very friendly, efficient wait staff. Welcome crew most supportive to mobility challenged geriatric. The stairs to top deck were a challenge, but we wanted table service. Great for friends of 40 years to catch up. Product: The need to go down and up stairs to toilets during cruise for mobility challenged. Service: Service was excellent. Could not have had a better experience. Kelly and Joanne looked after us very well. Product: The experience was amazing. The food was exceptional, the wine Divine and the service impeccable. You MUST do this! Especially for Vivid. I'll do it again! Product: Very nice evening, but a bit pricey. Thank you for your recent review of our Gold Dinner Cruise. We were disappointed to read that you felt the food on your cruise wasn’t to your standards. Our aim is always to provide an extensive variety of options maintaining the highest standards of quality. We always encourage guests to talk to the Cruise Director on board if they have any concerns, especially regarding food, drinks and service as they will be able to solve the problem immediately. Please be assured your concerns have been forwarded to our catering and hospitality manager. 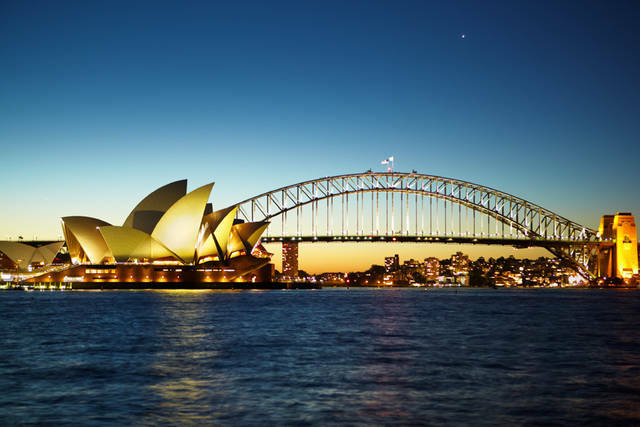 We agree that the great service and amazing views of the Sydney make for an enjoyable experience. Service: We both had a fabulous time on the Gold Dinner Cruise, on Tuesday 29th May. This was a special surprise for my wife, and as far as I am concerned it went off without a hitch. The food was superb, and incredibly well presented. Our waitress Arina, always arrived promptly with the Penfolds wine that had been selected to match the current course. I had called the previous day to check if lamb was being served, a meat both of us don't eat, and to ask if our beef course could be cooked well. When the steak arrived it was cooked perfectly and tasted delicious. Although I had paid the extra $50 to guarantee a window table, unfortunately, the weather clouded over we didn't see the moon come up over the Opera House. However, our view of the buildings lit up for "Vivid" more than made up for this. All in all a great time was had by wife and I, and something I've been telling our friends and family about. Product: Highly recommended for that special intimate evening meal on the harbour. Service: The staff couldn't do enough for you...nothing too much trouble and always with a smile. Food and wine really good for a dinner cruise. Service: We thoroughly enjoyed the actual cruise however our disappointment in the communication of the departure point cannot be expressed enough. With each document sent providing different advice as to the departure point, actual package purchased and other things, we nearly missed the departure, having to dart from circular Quay to King St Wharf. Thank you for your recent review of our Gold Dinner Cruise. We were disappointed to read that you felt the cruise itinerary wasn’t communicated effectively. Thank you for your recent review of our Captains Dinner Cruise. We were disappointed to read that you felt the cruise itinerary of your cruise wasn’t clear and that communication of this wasn’t to your standards. Unfortunately wharf access is limited at Circular Quay due to Vivid Sydney. 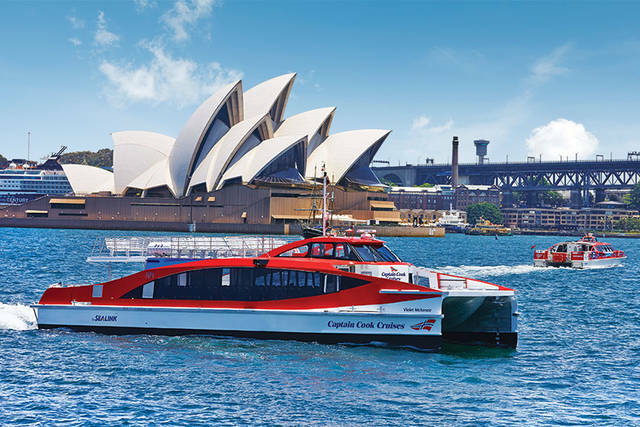 We have endeavoured to communicate this via our website showing departure points for your cruise date: https://www.captaincook.com.au/sydney-harbour-cruises/dinner-cruises/captains-club-dinner/?date=28/05/2018&adults=1χldren=0. In addition to this, we have implemented an A-frame detailing this information outside our ticketing office at Circular Quay, as well as a recorded message on our phone lines. Once again thank you for your feedback and we apologise for this inconvenience. 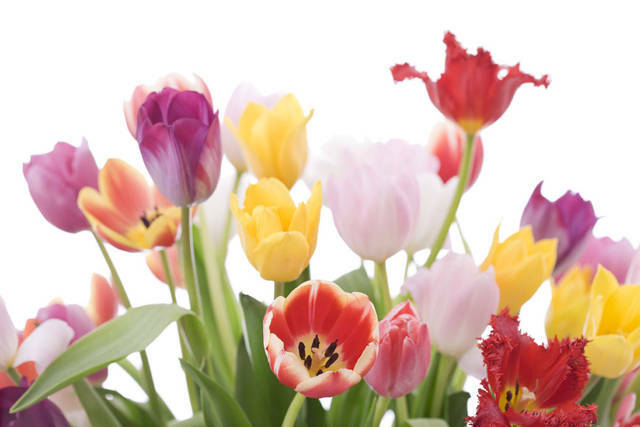 Service: The staff were very friendly and helpful. Product: The whole night was very enjoyable from the start to the finish. Never felt over crowded. Food and wine was great, and the band was good. We were more than presently surprised with the quality of the food and drink, the service and the overall decor of the vessel. Would definitely consider another dinner cruise when visiting Sydney. I loved the food and the service. The band was good and view couldn't be better.wine was also nice. Service: Our party had the most wonderful time at my 70th Birthday Celebration ! The Degustation Menu was outstanding as were the matching wines ! Our waiter Elmer was wonderful and very very attentive and such a pleasant man... thank you Elmer for making our cruise so very enjoyable !! The lady singer was exceptional too and we had so much fun dancing ! So a huge thank you to Captain Cook Cruises and all those involved for making my Birthday a night to remember !! Product: 5 Gold Star in a class of its own !!!! Service: This was our third time joining Gold Penfolds dinner cruise and it was not as enjoyable as the 2 previous times. There was no ambience, your staff was flat with no personality and the music was poor. Thank you for your recent review of our Gold Dinner Cruise. We were disappointed to read that you felt the ambience, service and value you received on your cruise weren’t to your standards. We can assure you that our staff are trained to provide our customers devoted and efficient service. We always encourage guests to talk to the Cruise Director on board if they have any concerns, especially regarding food, drinks and service as they will be able to solve the problem immediately. Please be assured your concerns have been forwarded to our catering and hospitality manager. Our entertainment is designed to provide an entertaining background to the conversations and ambience of this fine dining experience. However, please be assured we have forwarded your comments onto our entertainment manager. We believe our pricing to be equal to any contemporary dining establishment in Sydney. My wife and I had a great night out. Beautiful food with great service. Service: Wonderful evening of great food, scenery, service and of course many tastings of Penfolds wines. Product: Great value for evening affair. Very attentive and friendly service.